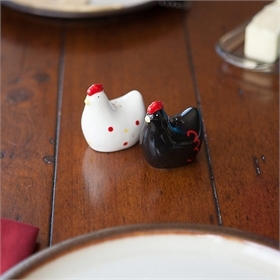 White is for salt, black is for pepper! 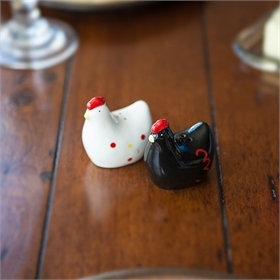 These fun salt and pepper shakers will brighten up your table—and you'll only find them at MPC. They make a great gift, too. Ceramic, gloss glaze, plastic stopper on bottom. 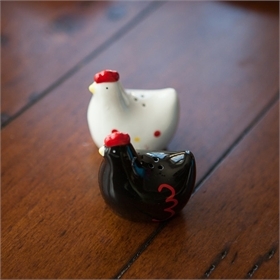 2.5" tall x 2.5 long x 1.75" wide.